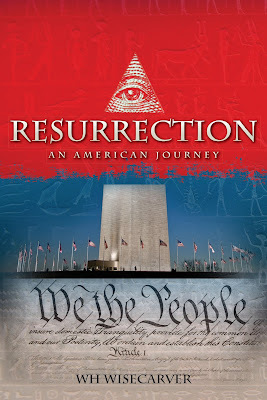 Q: Your newest book in the “resurrection” series, an american journey, deals with some pretty heavy political, social, and economic issues, and yet the book is science fiction. Why did you choose that genre? A: Actually, I didn't choose the genre, it kind of chose me. 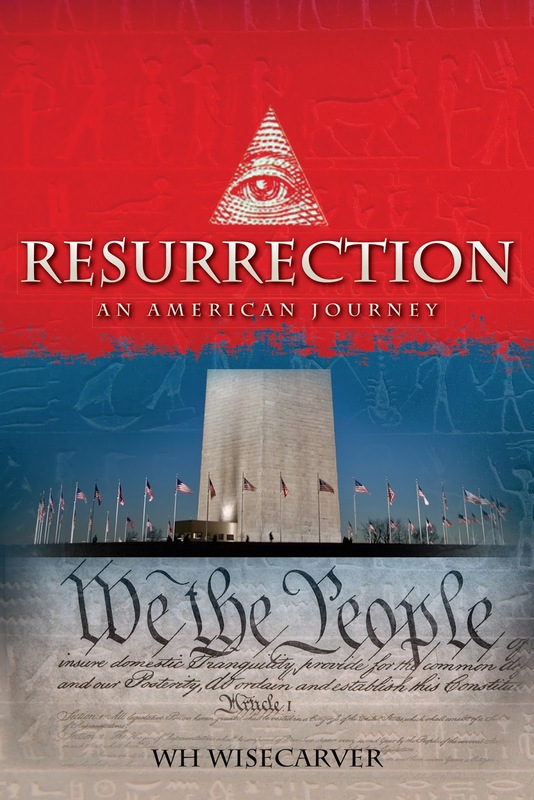 I am often asked why resurrection: an american journey uses an extraterrestrial civilization to explore the political and social disarry of our current society, yet many don't make the connection that since the 1980's science fiction has been the genre of choice for enlightening, and warning, a misinformed society against the forces of tyranny; from Herman Hesse's steppenwolf (1929) and Orwell's 1984 (1949) to William Gibson's necromancer (1984). The history in the resurrection series is factual in detail, and the alternatives presented, regardless of political or religious persuasion, are viable. Like Frank Herbert's dune (1965), in seeing current events in the middle east today, was to really science fiction? As l've said before, the resurrection series is about the true “game of thrones” the powers-that-be-are running, and it's accelerating. The big difference is that all my monsters are real. I'll let the reader decide the novel's genre. Q: you're a credentialed national security expert and international business executive, so what made you choose to write fiction? Why now? With tongue firmly in cheek, I answered in the preface of resurrection: “today only in fantasy may one speak truth.” l've been at the highest levels of our country's national security, political, and economic infrastructures, working for some of the most powerful, richest people in history. I have lived and worked with people of many cultures, both for and against them, long enough to understand them. I've seen enough of the true history behind the headlines in the last thirty years. To paraphrase Ayn rand: fiction? Check your premise. As to why, for me it's simple. I swore an oath to the constitution of the united states. For thirty-five years, I fulfilled that oath and remained silent. But things have become so twisted and we are becoming so uninformed on what's happening to our civilization, I could no longer remain silent. Again I go back to the preface of resurrection: an american journey. “fantasies are easily proven in an age of technological marvels; an age where all secrets revealed, bar one – we live again in a time of no quarter or mercy.” I write novels because my kind are the ones the public never hears about. We don't hold press conferences. Consequently, I never learned to speak in politically correct sound bites. Not my thing. I'll let my readers decide if l've done a good job and what they want to verify on Wikipedia. 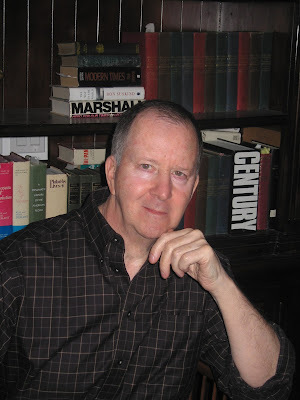 Q: can you give us some insight into your main character, Kirk Danner? What makes him so special? What does he represent or symbolize in the book? Q: Based on the character of Leila Freyan, it's clear that you have a very positive view of the Millennial generation, yet the widely held belief is that they as lazy and entitled. Why don't you buy into that notion? What do you think society can learn or gain from millennials? In my experience, the sound bite about millennials is false. I heard the exact same complaints about my generation. When I flew fighters in the marines, I put my life in the hands of 19 years olds on a daily basis. The biggest shock to me in my travels since was that those 19 years olds had more responsibility and integrity then most of the so-called political and business leaders of today. One needs to understand the millennials' history. They have lived through two economic crises both of which were artificially induced; continual war and terror threats, and; bombarded since birth with hyper mass marketing telling them that they must make “more” money to be considered a successful human being. They leave college with more debt than my parents had after 15 years of marriage, six children and a mortgage, yet the way the system is rigged, only 1 in 25,000 will find a job allowing them to pay if off in ten years, all the while being told that it's perfectly legitimate that in a so-called democratic, free market system, 1% of the population owns 99% of the wealth. And their government tells them the answer every economic issue is to cut the taxes of the rich and the answer to every foreign policy issue is to bomb. I think they have the right to be a little cynical. Their major issue is that they don't know their own history, I use the quotes at the beginning of each chapter to show them today's issues have a deep history in the human experience and we have overcome far more terrible crisis and evil forces before. Lecturing at colleges, I am constantly amazed at the lack of, or complete misunderstanding of our nation's post-WWII political and economic history. For anyone who doesn't see that as an issue, I point to the current administration: a bunch of smart kids, who have no understanding of the national and international issues. They know about crisis of the day but without understanding its history, they don't resolve them, but rather politicize them. Nothing changes the course we're on and there are forces out there that are quite comfortable with that inaction. The millennials are the first generation who understand technology, they are socially conscious, and environmentally aware. The vast majority of western civilization's millennials have been turned into economic serfs at birth. Their potential is stifled by the system that rose from the ashes of Wwll. They, along with past and future generations, need to think about how to free themselves from that system. We must work towards freeing ourselves from the political correctness of “group think” and the lie of “the futility of individual effort.” in my view, the millennials' history is still to be written. I'm just telling them that there is 5,000 years of recorded history out there to learn what worked and what didn't. That's the only way they can understand where they are and not they got here, and then think about how to fix it, as a generation, and as individuals. Q: what's next for you? Are you working on another resurrection book? If so, please tell us more about it. I designed the resurrection series as a trilogy, each book's storyline capable of standing alone. I tried to pattern them on H.G wells, the outline of history where you can jump in at any part of the tale through fictional flashbacks from 30,000 BC to 2012. the characters through multiple subplots of competing perspectives, reveal the legacy of the crisis, its current form and present oppression, both good and bad. The revelation shifts the power to the new generation of women and men, who enlightened by the past, find the strength to trust themselves and confront those whose plans threaten their lives, their society, and their future. l've received some feedback about how resurrection's was scenes are too graphic, and that my depiction of various spectrums of the human experience such as in sexual and occult traditions, are too controversial for a mass audience, but l wanted people to understand the reality of was and those spectrums on the human condition and we each have a role to play in the greatest dynamic in earths' history, our species evolution. Besides, I warned the reader up front that the resurrection series is not a story for the "faint of hearts".